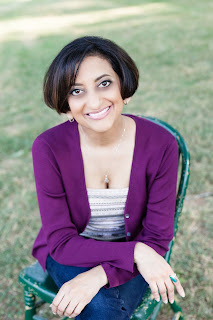 Two Chicks On Books: Release Day Celebration- SOULMATED by Shaila Patel & A Giveaway! Release Day Celebration- SOULMATED by Shaila Patel & A Giveaway! 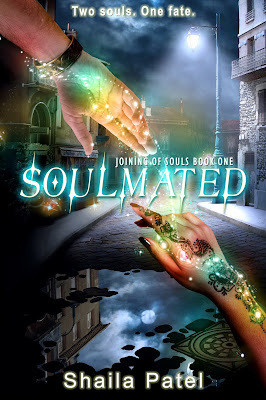 I am so excited that SOULMATED by Shaila Patel releases today and that I get to share the news! If you haven’t yet heard about this wonderful book by Author Shaila Patel, be sure to check out all the details below. Eighteen-year-old Liam Whelan, an Irish royal empath, has been searching for his elusive soulmate. The rare union will cement his family's standing in empath politics and afford the couple legendary powers, while also making them targets of those seeking to oust them. Laxshmi Kapadia, an Indian-American high school student from a traditional family, faces her mother's ultimatum: Graduate early and go to medical school, or commit to an arranged marriage. Liam's father isn't convinced Laxshmi is "The One" and Laxshmi's mother won't even let her talk to their handsome new neighbor. Will Liam and Laxshmi defy expectations and embrace a shared destiny? Or is the risk of choosing one's own fate too great a price for the soulmated? My mind wandered to a vision of what Laxshmi’s eyes would look like if I kissed her. It caught me by surprise, making me cough. Grand. Now I was the one with the concentration problem. If I kept this up, I’d have a hard time blocking out my classmates’ feelings. I stretched my legs a bit and tugged at my jeans. Jaysus. Keeping other people’s emotions out of my head was like blocking calls on my mobile. Normally, most empaths had about a ten- to twenty-foot reading range, so it wasn’t too taxing on me, having been an empath since childhood. Unless my concentration was shot to hell, blocking was as simple as breathing. Soon, staying open to Lucky meant she’d have her own ringtone in my head, and I’d be able to lock on to her feelings without having to do anything at all. When the class bell rang, Lucky bent to pick up a small pile of textbooks from the floor. I hoped she wasn’t one of those geeks who carried her books around with her all day. Then again, maybe she was avoiding her locker because of me. The thought left me frowning. As she got ready to leave, I waited for her. “Going to your locker?” I pointed at her books. Her surprise came over to me in a gentler ripple than had her other emotions. The gentleness reminded me of a calm day on Galway Bay—the sand, small waves nipping at my toes, and the sun, glorious on my back. The surprise felt like a warm ocean spray I hadn’t been expecting. “Yeah,” she said with a sheepish grin. She bit back a smile, her excitement feeling like a frothy surf tickling my toes. When we approached the door, she rushed to catch it before it shut, almost dropping her books. Most girls would’ve stood back and waited for me to make a dash to open it, making sure I was being attentive. Lucky didn’t seem to want any such nonsense, and I felt a bit off, like I’d put my trainers on the wrong feet. I couldn’t shake the feeling of being in unchartered waters. She stepped to the side and held the door open for me—for me—and I had to dive forward to help her steady the load of books threatening to fall. I sensed a genuine concern from her, as if she were afraid to be imposing on me, not something I’d been expecting. I stepped closer, meaning to convince her to let me help, but then her eyes snapped up and met mine. The softness and sincerity in them froze me to the spot. Lighter and more vibrant than the other brown eyes I’d forced myself to stare into—all in the name of being romantic— her eyes drew me in like a kaleidoscope, with amber and black flecks peppering her irises. A soft gasp escaped her lips, and I understood how she felt. With each blink of her long eyelashes, it felt like an eternity before I’d see her eyes again. I had a strange urge to brush my finger over the tips of her lashes. I swallowed against the dryness in my throat. “I–I just have one book. In my bag.” Jaysus Christ. What is she doing to me? I couldn’t get sucked in. I wouldn’t. If I expected anything, it’d only turn into another disappointment. (10) winners will receive a SOULMATED Swag Pack, US Only.